Ah. That explains it. Thank you very much for your swift response. Michelin have made this confusing. When I wanted new tyres for my XRx the dealer suggested "Pilot Trail", which he said were actually a road tyre in trail bike sizes. I wasn't sure whether to believe him so ended up with Bridgestone T31s, which are excellent. 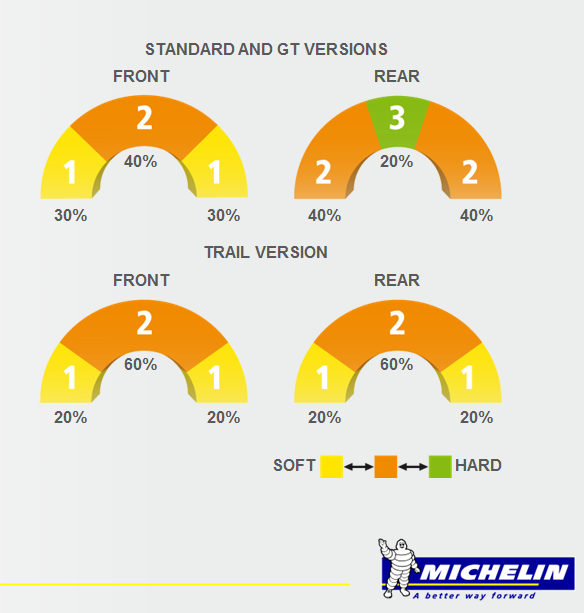 He was right though -- the Michelin Pilot Trail is actually a road tyre, same as the Road Pilot 5. There’s some debate on that. 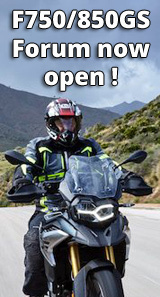 I saw an Australian bike website with info that the compounds are different, eg road version rear is med/hard but trail rear is soft/med and % are different eg soft area on front is larger on trail than road version. This link talks about the new role for being different from the road and GT versions, Why wouldn’t the same be true on the 5? Thanks for that, I hadn't seen it. But it is confusing when they call something a Trail when it's intended for 100% road use.